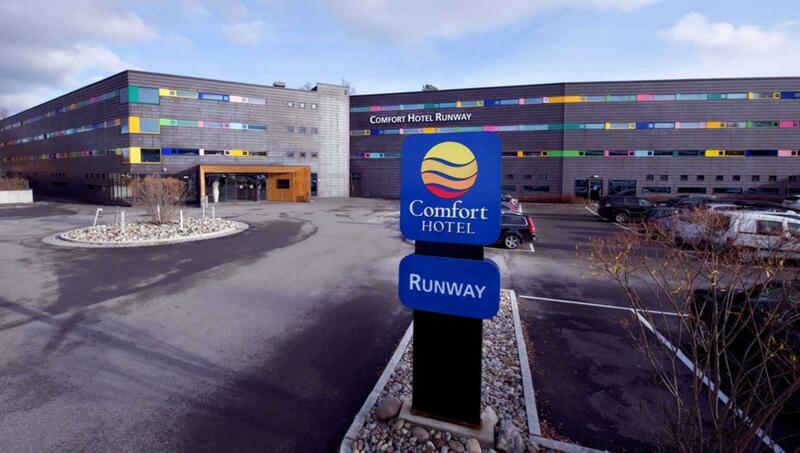 ﻿ Comfort Hotel RunWay Oslo. JIMAT di Agoda.com! Ada soalan mengenai Comfort Hotel RunWay? Terletak pada kedudukan yang baik di Lapangan Terbang Antarabangsa Oslo - Gardermoen, Comfort Hotel RunWay adalah tempat yang sesuai untuk memulakan lawatan anda di Oslo. Dari sini, tetamu boleh menikmati akses mudah kepada semua yang bandar meriah ini boleh tawarkan. Untuk pilihan bersiar-siar dan tempat daya tarikan tempatan, pelancong tidak perlu pergi jauh dari hotel kerana ianya berdekatan dengan Lapangan Terbang Oslo Gardermoen, Ullensaker GK. Di Comfort Hotel RunWay, perkhidmatan yang cemerlang dan kemudahan yang unggul menjadikan penginapan anda tidak dapat dilupakan. Untuk keselesaan dan kemudahan tetamu, hotel ini menawarkan meja depan 24 jam, fasiliti tetamu kurang upaya, daftar masuk/daftar keluar ekspres, simpanan bagasi, Wi-Fi di tempat awam. Alami bilik dengan kemudahan berkualiti tinggi sepanjang anda menginap di sini. Sebahagian bilik menyediakan televisyen skrin rata, penyaman udara, pemanas, meja, stesen dok iPod untuk memudahkan tetamu berehat dan kembali bertenaga. Kemudahan rekreasi hotel, yang termasuk seperti pusat kecergasan, sauna direka untuk anda melarikan diri dari masalah dan bersantai. Apapun alasan anda untuk melawat Oslo, Comfort Hotel RunWay adalah tempat yang sempurna untuk percutian yang menyeronokkan dan menarik. A very good option for Airport stay. Connection to airport reliable and regular. Breakfast excellent. Good hotel for one night right next to airport. Free breakfast was very good. Excellent location (close to the airport). Excellent location if you want to be near the airport. Fitness suite and sauna (and some rooms) look out over the runway which is cool. Comfortable bed, nice shower and free ping pong table! First thing you need to know is you need to pay for the bus between airport to hotel, one way is KR70, run on the 15 or 45 every 30 minutes. Secondly the last bus run from airport is around midnight. i missed that and the only option was to take a taxi which was EUR50 for the 4km journey. Other than these, this hotel is really value for money. Room is spacious and clean; breakfast is fantastic and it starts from 4am, which is very good if you need to fly early. 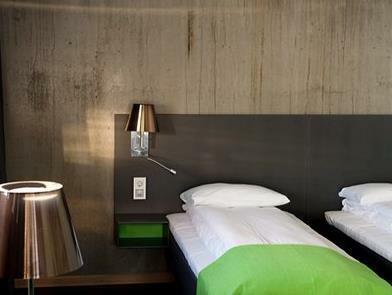 Clean hotel, good facilities and close to the airport. The staffs were not friendly. Scandinavian efficiency is okay but come on, a smile is not a bad thing. We only needed to stay over for a layover. It was convenient enough and easy to get to. It seemed too pricey for us as we are usually budget travellers but didn't have any problem with it. Only one night transit stop. But enjoyed our visit. We'd stayed for 1 night as we'd arrived very late and didn't want to wake up our relatives It did feel it was an unexpectedly long drive to the hotel but it was only about 10 mins and the hotel's actually situation next to the runway. Excellent sound-proofing, so you don't hear any planes landing or taking off in the rooms or in the general areas. Hotel was very tastefully designed and well-decorated. Nice open restaurant for breakfast and other meals. Great breakfast spread but make sure you go early as they'll keep everything on the dot. My only "complaint" is that the mattresses were very soft but that seems to be the general experience in all Norwegian hotels. It's a great hotel if you need to catch a few winks and be onto your next flight / destination. If it's for an extended stay, you should head into the city as there's nothing else to do around the hotel. A lovely hotel if you have an early morning flight: great location close to the airport ! Friendly staff, trendy hotel, nice breakfast ! Very nice, close to airport, friendly staff, clean. Slightly disappointed, given that there are quite a number of airport hotels and this one ranks at the top. It was further from the airport than i'd expected. Shuttle costs 70NOK per person per way, that one was not cheap. Best part - Attitude Great service! Right from the time of booking, good service was shown in the timeliness of their replies to emails. And when you arrive at night, tired from the flight, it's nice to be greeted by such cheerful and happy staff. Another thoughtful touch - Two layers of windows to block out the sound from outside, so the rooms are really quiet. Not so good - Room & breakfast The room looked bare and industrial. When i stepped in, i thought they made a mistake somehow. The room was big and dim, and the small wall-hung TV console/desk and a random armchair just made it look sad. Floor felt dusty. The wooden panels on the console were flimsy and fell right off. The ledge that i think is meant for luggage is built right below the railing for clothes/coats, which doesn't give enough space to open the luggage. The wall behind the bed looked dirty and splotchy and stained - not sure if it's meant to be artistic; i've seen concrete interior walls and they don't look like that. and the windows are tiny and made me feel claustrophobic. i guess there's no need to look out but still. Bathroom was spacious. and cold. The hinge holding the magnifying mirror was loose and couldn't be adjusted. Breakfast was adequate, though hot food is only served from 7am and we had to leave at about that time. The hotel is decked out in bright colours and cheerful little messages, against a dark backdrop. The impression the hotel designers want to give is that they are having fun, in a club-like atmosphere, i suppose, but it feels like they are trying too hard. I'm not sure if it's the same people who did W Hotels, but it does remind me of W. and W does it so much better. It is sufficient for a basic stopover. New and modern hotel. Works great as a budget airport hotel. Early breakfast was good. Rooms feels a bit small and dark. Friendly check-in stagg. It was my first time to Oslo, and did not realize that an airport hotel in Oslo really means it is almost on the runway (as per the name). There was good sound insulation so you won't wake up from the noise and if you like spotting planes, take a room facing the runway and you will be happy. Strangely enough the free airport transfer is only free for 1 way, to the hotel, if you want to go back to the airport (you will have to go here for anything) you have to pay. The rooms are ok, as there is no restaurant you will have to buy food from their 'restaurant' fridge, which is ok but very expensive. 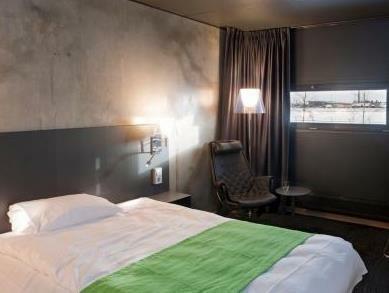 Close to the airport, clean and modern rooms. The buffet was excellent.